When I was younger, I wanted to be a police officer. 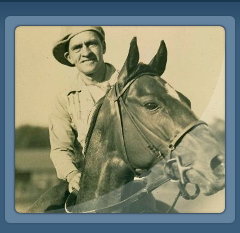 (I was a police officer briefly, but that's another story) However, with my Grandfather and Father working with horses as a jockey, horse trainer and farrier, the rest as they say is history and I was destined to work with horses as well. 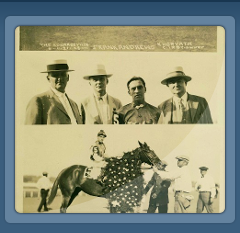 My grandfather, Karl A. Horvath Sr. was a jockey and horse trainer. He was in business school when someone said, "You are so small, you should be a jockey." He thought about it and went to a horse training farm. 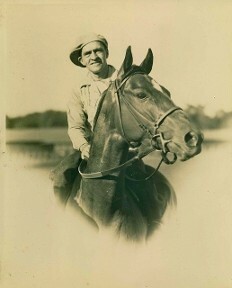 My Grandfather rode in two Kentucky Derbies and was the first jockey to make $500 in a week back in the 1930's. 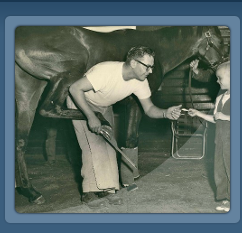 My father, Karl A. Horvath Jr. became a farrier in the 1940's and worked race tracks in Atlantic City, Monmouth Park and Garden State, New Jersey. He also worked the Calder, Gulfstream and Hialeah Park racetracks in Florida. 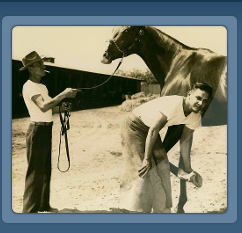 He didn't want to be a horse trainer like his father and he was too tall to be a jockey. So, he worked as a farrier for 40 years and only retired due to health reasons. 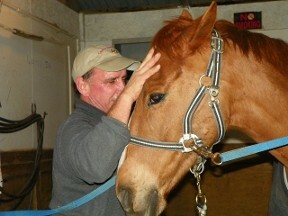 He loved his job and wanted to make sure the horses performed at their optimal level. 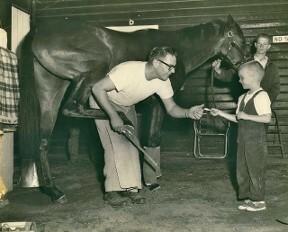 I am quite proud to say he was the farrier for Carry Back, who won the Kentucky Derby and the Preakness stakes in 1961 and also Sherluck, who won the Belmont in the same year. Way to go Dad! Just like my father, I get a sense of satisfaction from making sure the horse or mule I'm working with is getting the best care possible. I also want to make sure that their owner is well informed of any changes or concerns that I see so I can instruct them in caring for their equine's feet. I look forward to seeing them at their next appointment and catching up with the owner as to how they've been doing since my last visit. I'm not only taking care of hooves but building a long lasting relationship by offering quality farrier care and commitment.